Real Estate Classes are Now in Session! Become a real estate agent! Open enrollment - join us at any time! 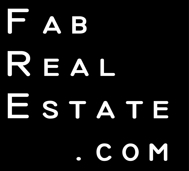 Visit FabRealEstateSchool.com for more information or to enroll today. Begin now and complete your coursework in as little as 8 weeks! Only $350. Cost includes required textbooks.